We have established ourselves as coveted organization, involved in the business of trading a wide gamut of Used WARPING MACHINES. 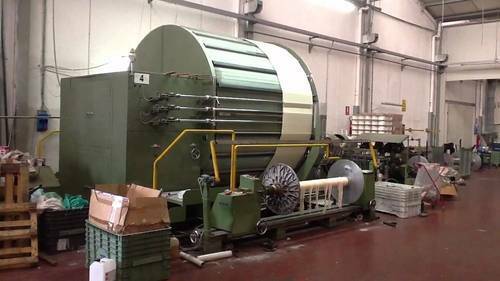 we offer a wide range of machines under this category which includes Sample / Direct / Sectional / Benninger / Karl Mayer Warping Machines. Clients can avail from us a wide assortment of Used Suzuki / Sample/ Direct / Sectional/ Benninger /Karl Mayer Warping Machine. All the machines offered by us are developed and designed at the sophisticated infrastructure of our vendor in strict compliance with international quality standards. These sampling machines are widely used in textile industry for warping processes. Further, clients can avail these machines from us various dimensions and other specifications. Looking for “Used Warping Machines”?